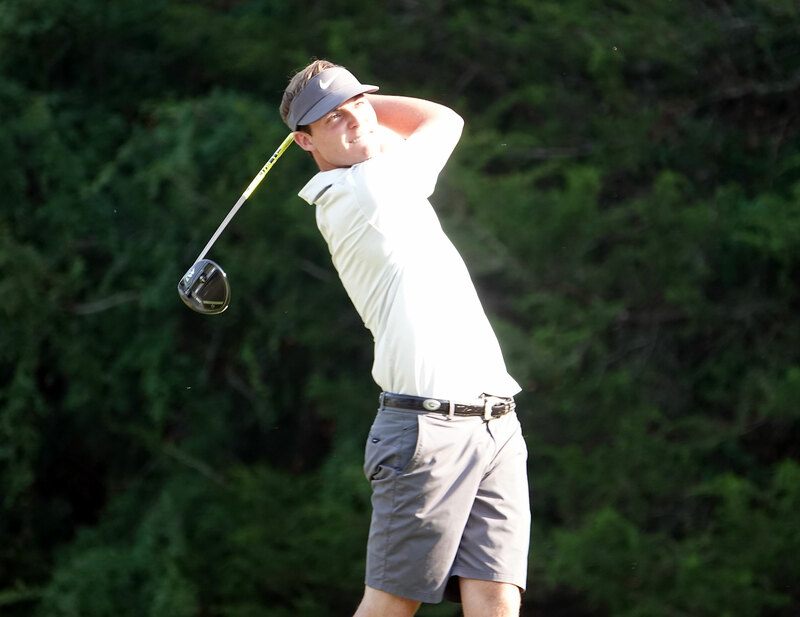 Trevor Phillips shot a final round 7-under par 65 to win the Spartanburg County Amateur at Three Pines Country Club. 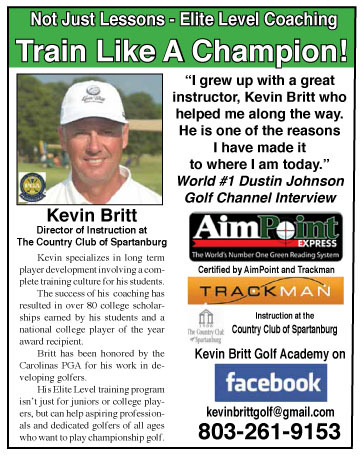 Trevor Phillips has wanted to win the Spartanburg County Amateur since he first played in the tournament when he was just 13 years old. The University of Georgia golfer finished tied for 19th that year at Woodfin Ridge. 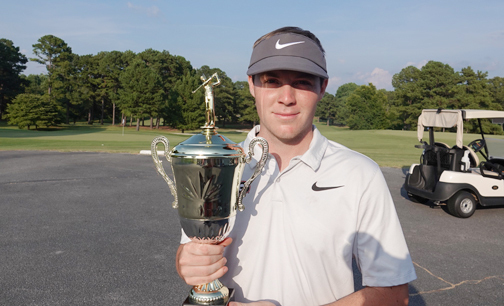 This year he used a final round 7-under par 65 to pass second round leader Jordan Warnock and earn the county championship at Three Pines Country Club in Woodruff. “This is a tournament I have wanted to win since I was 12 or 13 years old,” said the champion. 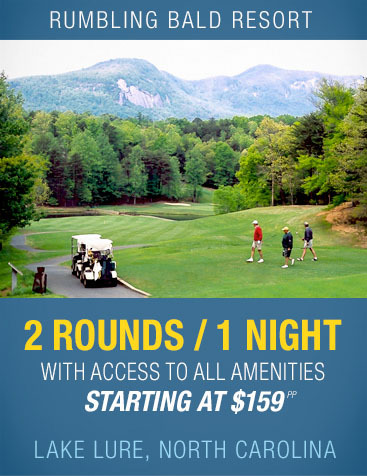 “I played in it a few times on my home course at Woodfin Ridge. It is nice to finally get the win,” said Phillips. Jordan Warnock led the first two rounds before dropping back to fourth place. The Boiling Springs grad jumped into the lead on the first four holes of the final round. A pair of early birdies helped him make up the shot he trailed Warnock at the start of the round. When the USC Upstate golfer hit two out of bounds on the fifth hole to card an 8, Phillips started to build his lead. At the turn Phillips had stretched his lead to five shots over Warnock and two-time champion Kevin Roberts. He continued his fine play and had a little luck go his way with an eagle on the par 4, 14th hole. “I was just trying to get the ball in the front bunker and get up and down for a birdie. When it hit the cart path it jumped right on the green and I had a good line on the putt. The eagle putt was the longest putt I made all week,” he said. 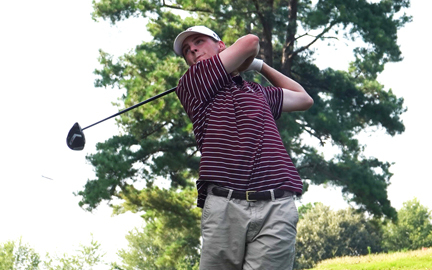 Reed Bentley shot a 4-under par 68 in the final round to move up to second place. 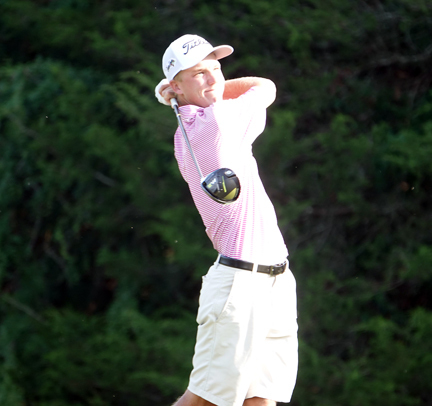 College of Charleston golfer Reed Bentley started the day six shots behind the leader with five golfers in front of him. He used an eagle on the 13th hole to move up into a tie for second place. “I got the eagle with a 25 foot putt, but I bogeyed the next hole,” he said. “I had two more bogeys and two birdies coming in, but I was still pretty happy with my play,” said Bentley. Also finishing in a tie for second place was Kevin Roberts. The former champion had been one stroke off the lead after the first round and was three shots behind starting the final round. Roberts was not pleased with his performance over the three days of the championship. He shot three under par rounds for a 5-under par 211 total, but thought it could have been better if his putter helped him. 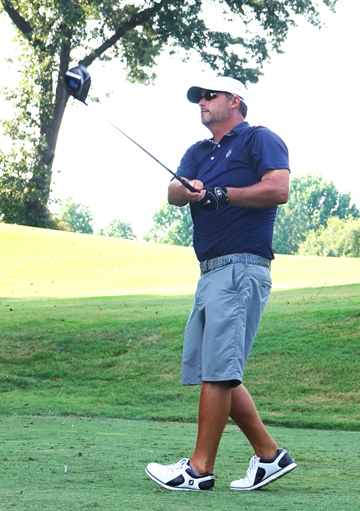 Former champion Kevin Roberts tied Bentley for second place in the county tournament. “I never got the putter working,” he said. “I had some three putts and that killed me. I thought I might have a chance today, but Trevor played so good I don’t think anyone was going to catch him,” said the two-time county champion. After Warnock’s quad he played the rest of the round at 1-under par to post a final round 75 for a tournament total of 4-under par 212 and a fourth place finish. Future Gamecock golfer Harrison Corbin and USC Upstate rising senior Matt Carter each shot final round 69s to finish fifth and sixth respectively. Phillips shot rounds of 70-68-65 for a 203 total and an eight shot victory bettering his top-five finish in last year’s tournament. “When I played the practice round out here the course suited my game and it seemed pretty easy. When I got out here for the tournament they had shaved the greens and they were a lot firmer and obviously its a little harder when it matters,” said the champion. After playing in the tournament in 2012, it took Phillips a few years to get back in the championship. After his finish that year the rules were changed to prevent juniors from playing in the men’s county championship. Trevor Phillips shot rounds of 70-68-65 for a 203 total and an eight shot victory in the Spartanburg Co Amateur. It was referred to as the “Phillips Rule” that only allowed the top-ten juniors from the county junior championship to be allowed to play in the men’s amateur. “I heard some people got mad that I was playing in the tournament so they changed the rules to an age thing, I understand,” he said. The rising junior at Georgia had a very solid sophomore season in Athens. He played in 11 tournaments and recorded two 7th place finishes. He also excelled in the classroom making the honor roll as a freshman and sophomore. “I have only played a couple of tournaments this spring. I played okay in Atlanta and did alright at the Sunnehanna, but this is the tournament I really wanted to win this summer,” concluded Phillips. Flight winners included; First Flight – Kevin Roberts, Second Flight – Stan Sill, Third Flight – Darin McRoberts, Fourth Flight – David Power, Fifth Flight – T.J. Hines, Sixth Flight – Alex Davis, Seventh Flight – Chris Martin, Eighth Flight – Isiah Callicut, Ninth Flight – Joey Smith, Tenth Flight – Are Gault, Eleventh Flight – Billy Motts. 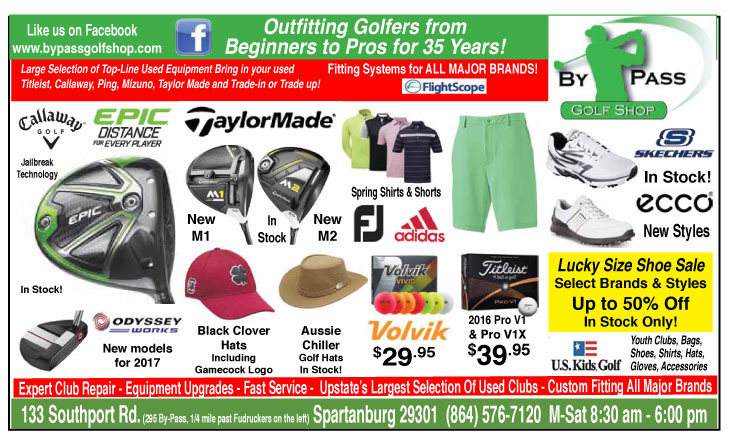 The tournament is presented by The First Tee Upstate with proceeds from the Spartanburg County tournaments going to help the First Tee programs in the Upstate.